The examples of community social work (CSW) showcased in 2018 by Iriss rest on a long tradition of community-orientation within the profession in Scotland. The interest in community also stems from the detailed work Iriss has undertaken in looking at the future of social work and social care in Scotland: the sometimes chilling post-independence referendum neoliberal scenarios suggested in Imagining the future (Iriss 2014). While their prediction that the state was on the retreat might have been countered by some developments since (eg the rise of populist politics on both the socialist left as well as pro-Brexit right), there seemed an acceptance in all these scenarios that ‘community’ would be an important cornerstone of social welfare service delivery in the future. 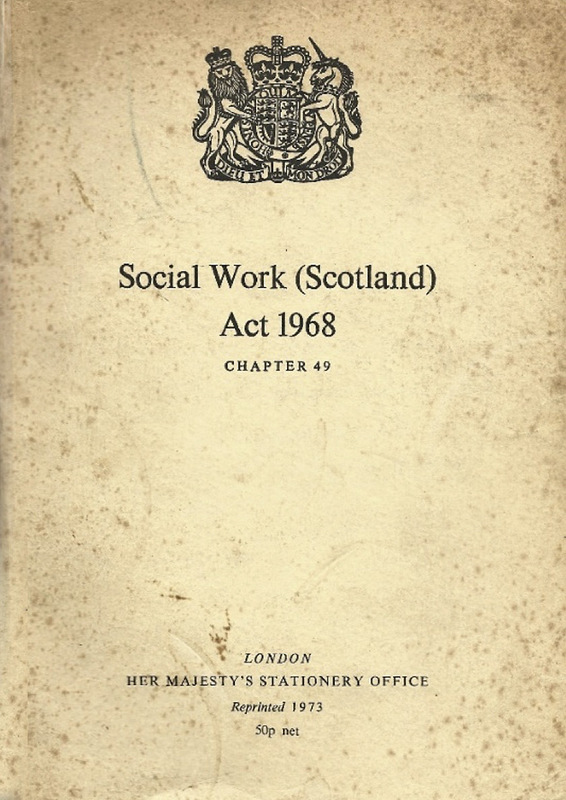 Looking back rather than forward, 2018 marks the fiftieth anniversary of the ground-breaking 1968 Social Work (Scotland) Act – a good opportunity to celebrate this heritage and make a case for its positive relevance in the Scotland of today. This paper will examine the history of CSW in Scotland, its ups and downs, and draw some conclusions that might help those seeking opportunities for such practice in the future. As CSW has its roots in attempts to work in and with communities rather than from above and on their behalf, we need to start by reminding ourselves how organisations that deliver services, whether through council or voluntary sector provision, are often seen from within the communities who are the objects of our efforts. In his startlingly frank but very articulate account of how poverty and marginalisation feel from the inside, Glasgow’s rapper and writer Darren McGarvey states that the aim of organisations who parachute into poor communities is '…rarely to encourage self-sufficiency. Rather the opposite, each engagement and intervention creating more dependency on outside resources and expertise, perpetuating the role of the sector as opposed to gradually reducing it.' (McGarvey, 2017, p98). This should act as a watchword and health warning for all that follows. Before proceeding further, definitions are offered that will prove helpful as we look at the history. The word ‘community’ is open to wide interpretation: dictionary definitions point to common interests, common heritage and culture, the interactions of people in a particular area or groups of people with shared interest living together in larger society. Pierson (2008) counsels that any geographical locality might contain numerous ‘communities’. Membership is based on self-identity and sense of belonging: this can be based on religion, ethnic identification, shared employment or any other common feature recognised and shared by individuals as a group. This is important because there is a danger that ‘community’ becomes an idealised construct based on the perceptions of outsiders: communities can be repressive and reactionary. In an attempt to offer a radical interpretation of community for community social work purposes, Webb (2017) considers that the entanglements and issue-framing of people acting together are important characteristics of a ‘community’. The latest edition of the Dictionary of social work and social care (Harris and White, 2018) describes CSW (under reference to the Barclay report – perhaps a reflection of CSW’s status in the world of contemporary social work) as ‘patch social work’ ie social work in a particular geographical neighbourhood. A book to promote CSW published in the 1980s described it in similar terms, emphasising aspects of partnership and shared responsibility, preventative and proactive (upstream) approaches, and use of local networks (Hadley and colleagues, 1987). This description was inspired by the proposals within the 1982 Barclay report (see below) which also contained a definition upon which this was based. 'Community orientation', a term used in American social work literature, is perhaps a more generic and less closely defined phrase describing a social work that takes neighbourhood characteristics into account (as opposed to work with individuals over individual issues and problem areas of their lives); this term will be used frequently in this account as it embraces all the activity that has gone under different descriptions over the past fifty years. Given, as we shall see, that CSW is about helping develop neighbourhood responses to what are perceived as widely shared issues of disadvantage and marginalisation, there are crossovers with community development as practised in the past by community workers rather than social workers – both historically sharing phases of professional training in Scotland in institutions like Edinburgh’s Moray House College. There are also parallels with the radical and critical tradition in social work whose growth in influence with the publication of such books as Radical social work (Bailey and Brake, 1975) reflected a turn away from traditional casework. This influence continues through campaigning by groups such as SWAN (Social Work Action Network) and literature eg Ferguson and Woodward (2009) and Turbett (2014) – the latter making specific reference to CSW. This tradition puts an emphasis on structural oppression (particularly through social class difference) and its causes rather than just individual pathology; it emphasises opportunities to help service users liberate themselves and fight back against oppression. An important characteristic that emerges from this broad look at definition is that community self-identity and membership are crucial to any focus of intervention if CSW is to be more than just localised siting of service delivery. This might help explain why past notions about CSW have failed to make a lasting impact in social work. Later this short history will conclude with an attempt to define CSW in the context of the present period. The growing prosperity across the 1950s and 1960s allowed a rapid development of public services that built upon early post-war efforts to create a welfare state at a time of extreme austerity. This was fertile ground for new ideas and creative practice that was reflected in official government policy making reports for Scotland. The Kilbrandon report of 1964 put an emphasis on child welfare and social education. The 1966 Social work and the community, which built on Kilbrandon, saw Scotland lead the UK, if not the world, in aspects of social welfare by setting the scene for community based and orientated services. This paralleled other developments in society such as the move to comprehensive schooling. The use of the word ‘community’ in the 1966 report was deliberate and forward looking but also reflective of a tradition in the profession that went back to the 19th century ‘settlement’ movement (University based urban social work charitable organisations), whose emphasis was on educational and recreational need within the locality served to improve the lives of the poor. However, their activities were criticised by those who saw social welfare as a casework activity aimed at individual need – a reflection of tensions within social work that have continued to this day (Lavalette and Ferguson, 2007). The care of children at risk, and in particular at that time, those whose behaviour was of concern, was to be taken out of the court system and into Children’s Panels whose members would be drawn as volunteers from the communities they served. This principle stands today (despite changes since in emphasis and process within the Hearing system) and marks a commitment to a community orientation that has stood the test of time. Contrary to spirit and purpose, however, the introduction of Children’s Hearings brought about an increase in the numbers of children looked after and accommodated outside their home communities, an issue that was only to be addressed in subsequent years. The 1968 Act introduced generic local authority social work departments that brought social workers from various disciplines together in organisations accountable to local councillors and led by social work qualified directors. Director appointments were overseen by the Secretary of State (who, being in charge of the Scottish Office in those pre-1999 devolution times, was Scotland’s principal government politician). These became influential, powerful and popularly supported organisations, particularly after the reorganisation of local authorities in 1975 that created Scotland’s seven regional and three island councils (Brodie and colleagues, 2008). Such authorities had the resources to look at wide ranging strategies well beyond statutory remits to combat poverty and inequality: in Strathclyde region where most of Scotland’s population lived, social work welfare rights officers ranged across the cities, towns, and island communities to increase welfare benefit uptake, and the council’s ‘social strategy’ laid out anti-poverty policies that all its staff, not just social workers, were expected to promote in their work activity. The 1970s and 1980s really marked the zenith of community social work and community development as high profile local authority provided strategies. Across the United Kingdom, central government funded Community Development Projects which were set up in several ‘waves’ as short-term ‘pilots’ in the late 1960s/early 1970s to involve activists at local level in the re-generation of twelve areas suffering from economic decline and poverty. These included the Ferguslie Park area of Paisley. However, funding was stopped and the whole initiative wound up when the pilots generated activity in conflict with government over fundamental economic and social policy – a lesson not lost on policy makers looking at community based activity from that time onwards (Banks in Lavalette, 2011). On this occasion, to paraphrase Marx, the powers that be were not prepared to pay their own gravediggers. However, a radical and challenging edge to social work, based on community need, continued in the mainstream. This was characterised, fatally according to some commentators (Brodie and colleagues, 2008), by the decision of Strathclyde region to make payments to striking miners in direct defiance of Conservative Government attempts to force them back to work in their year-long strike against pit closures in 1984-5. CSW meantime was given a launchpad with the publication of the government sponsored report Social workers: their role and tasks – popularly known as the Barclay report (after its chairperson) into social work in England and Wales in 1982. This saw the first mainstream use of ‘community social work’ as a term in its own right, featuring prominently as a strategy proposal. Barclay and his associates in the National Institute of Social Work (NISW) argued for a change in the way social workers were organised and did their business, towards locally based teams who would interact with communities and draw upon their strengths in finding solutions to common issues. The report was influential in Scotland, and in the view of some, commentators took forward the spirit of the 1968 Act in terms of the s12 commitment ‘to promote social welfare’ (Crosbie and colleagues, 1989). As a result, a number of CSW initiatives were developed across the country – from Barlanark in Glasgow to Badenoch and Strathspey in Highland region. What was interesting about these is that they were reported at the time (Smale and Bennett, 1989) as being the result of accident rather than design: growing out of local initiative rather than wider organisational strategy. Successful initiatives involved motivated local leaders from both the social work team and the community served, a degree of senior management support and committed staff at ground level. I recall how, as a young social worker in Drumchapel, Glasgow in the early 1980s, such approaches were discussed but ruled out, due, on reflection, to an absence of the local political will and activism that enabled their development elsewhere. It is noteworthy that initial neglect or removal of any of the factors that made up this combination spelled death to such initiatives where they did exist. This is unfortunate because the hard work and commitment that built them was said to have resulted in modest measurements of success. An example (the seven described in Smale and Bennett, of which this is one, are all very different) was Pam Green’s account of the Whitehill Patch Team set up in a housing scheme in Hamilton in October 1983. Measurements of success were considered to be an increase in non-statutory self-referral and a service seen as more accessible and responsive to the needs of the community, with a consequent reduction in statutory cases. A wonderful example is given of a situation where children who were at risk were helped through the mobilisation of community resources so that removal from their mother’s care was avoided. There were tensions arising from conflict between servicing community need rather than agency requirement, and resourcing issues; the project eventually foundered through loss of staff – partially as a result of unsympathetic management decisions based on a decline in statutory cases. The right-wing political climate of the 1980s and 90s was not favourable to Barclay’s proposals and they never progressed beyond the type of local initiative seen in Scotland. This was the era of rapid industrial decline, and the popularity of individualism and the market as the solution to society’s ills (characterised by Conservative Prime Minister Margaret Thatcher and her pronouncement that ‘there is no such thing as society’). Social work was on the retreat: a number of well publicised child deaths for which social workers were seen to be at least partially responsible, and the Orkney child care debacle in Scotland (described in the Clyde report of 1991), made the profession seem unpopular in the public eye. Change was on the agenda, culminating in Scotland in the 1996 local government re-organisation that broke up the big regional authorities and effectively downgraded the role of social work in the new single tier authorities (Brodie and colleagues, 2008). The 32 councils were no longer obliged to appoint suitably qualified Directors of Social Work but Chief Social Work Officers who would carry the responsibility for some decisions, but not necessarily the power enjoyed by the previous directors – issues that remain to this day. Social work became a combined function in many authorities with housing, education or both. 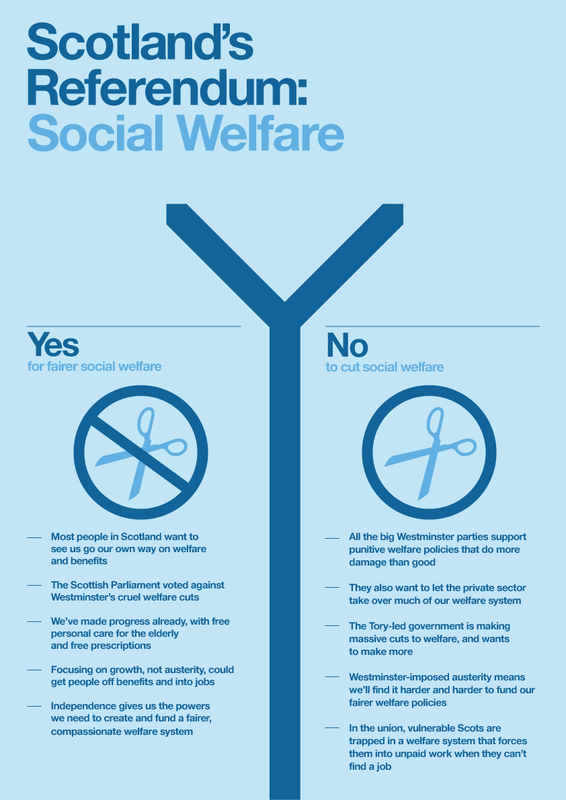 Re-organisation was swiftly followed by devolution and the establishment of the Scottish Parliament in 1999, bringing social work into its remit alongside health, with a political consensus that the two should be in closer alignment. These changes also saw a move away from generic social work practice to specialisms (children and family, adult care and criminal justice) with increased emphasis on risk assessment, protection and very targeted service provision. While this was driven partly by the professional concerns and public criticism of practice described above, it was also the result of the introduction of the market ideology (characterised, according to Harris (2003) by the NHS and Community Care Act 1990) that the 1997-on ‘New’ Labour government enthusiastically inherited from their Conservative predecessors. This period saw the introduction of what is often referred to as managerialism into Scottish social work – a one-word descriptive summary of a style of top-down management that celebrates efficiency, economy and effectiveness, often delivered through markets and typically measured by performance indicators (Harris and Whyte, 2018); few social work senior managers however, would recognise the term. In such a climate, CSW as a concept became inevitably marginalised and community workers, who had been widely employed in social work departments, began to disappear. Some community work functions were absorbed by local authority community education services (renamed community learning and development and placed usually within education departments) whose origins (eg community centres and general youthwork) were not within the previously described s12 social work remit. Some third sector organisations, however, continued their efforts to integrate social work support into community life. Of note are the efforts of former Bath University social work academic, the late Bob Holman and his associates in the east end of Glasgow. In 1987 they established a neighbourhood action project called FARE (Family Action in Rogerfield and Easterhouse) that employed all the characteristics of CSW in a successful and long-lasting project reputed, among other things, to have contributed to the decline of gang violence. Bob Holman lived his ideals by setting aside a comfortable life in order to live within the community where he worked (see Holman, 2010). The project was famously said to have changed the view on poverty of Tory Minister Iain Duncan-Smith, but the resulting welfare benefit changes that punitively and not always successfully coerce claimants into any type of work, might not be the outcome FARE intended. However, despite these general retreats from the concept of CSW, the notion of locality based services was encouraged by the Westminster Government following Labour’s election in 1997. From then on terms such as ‘community capacity building’ signified a change in emphasis, as well as language. This is reflected in the literature of that time. Gerry Smale, a social work academic associated with NISW (by then declining in influence), whose ideas had influenced the Barclay Report, was no longer writing about CSW but instead talking up the premises that lay behind it, such as ‘upstream working’, ‘exchange models of assessment’, and ‘mapping’ (Smale and colleagues, 2000). These in turn were adopted by other writers such as Pierson (2008) who promoted models of inclusive local working in social work, and Turbett (2004 and 2010) who discussed community orientation more explicitly as an ideal approach in rural and remote practice locations in Scotland. The latter, much discussed in international rural social work literature, points to the close-knit nature of rural communities and the possibilities this presented, as well as the particular networking and community skills needed to negotiate good outcomes for service users. The major Scottish Government-commissioned report into social work in Scotland Changing lives (2006) mentioned community orientated practice under the more general heading of ‘community capacity building’. This suggested joint approaches with other public agencies (eg housing, police and education) ‘at the heart of communities’ (p38) as a fresh and all-embracing model – different from past promotion of CSW, which it described as a discreet social work activity out of the mainstream. Personalisation, as a rights-based approach to choice over service provision was fundamental to Changing lives. However, as Ferguson (2018) notes, calls for community perspectives were effectively nullified over the next decade by drives for personalisation against a background of cuts and austerity – there simply were not the resources to do them justice. In 2007, not long after the publication of Changing lives, the western world was hit by the banking crisis. The UK Labour Government of the day argued that economic mayhem could only be avoided by a hugely expensive public buy-out of the worst affected banks. This had to be paid for and consequential austerity policies have been steadily reducing government expenditure on public services – a consensus apparently shared to varying degrees by all elected governments since and until this day. This has obviously impacted on service delivery at a time of increasing demand due to a rapidly ageing population. This has given impetus to policy makers grappling with the elephant in the room since the 1968 Social Work (Scotland) Act: social work’s fit with the National Health Service, especially where it concerns the care of vulnerable elderly people. In 2016, legislation was implemented by the Scottish Parliament that enforced health and social care integration on the basis of partnership arrangements devised locally between health boards and the local authorities within their area. Budgets in the operational areas within partnerships became pooled under the direction of partnership boards (along the same lines as health boards rather than through elected councillor accountability). Given the huge size of their budget proportion compared with social work and social care, these partnerships can be dominated by health interests, with careful financial management and ‘more for less’ being the driver in a climate of austerity. Local authorities, who have strict and transparent budgetary processes with a requirement to balance the books, inevitably offer up cuts quicker than their health partners. ln keeping with the models of public management that came to the fore in the 1990s, senior managers often have no clinical or social work operational background. This is the climate in which social workers who might want to do things differently often have to operate – a markedly different one from that of the 1980s when CSW enjoyed its brief and limited heyday. Realities experienced on the ground demonstrate the effect of austerity. A study of social work service delivery in the Western Isles (Martinez-Brawley and McKinlay, 2011) found that the loss of a community-orientated, generic and highly localised service found in an earlier 1986 study, was generally considered detrimental: silo-like centralised specialist services (with social workers in a population area of 26,000, responsible to two directors in two departments) were not as organisationally responsive to local need as they had been, with financial considerations driving matters and high level partnership arrangements not felt to be working effectively. In the 1970s and 80s it was often argued within social work circles that innovative and creative practice might be better found within third sector/voluntary organisations. Such opportunities have eroded over the years and with austerity have almost dried up: voluntary organisations now have to compete fiercely within an open market to tender for work (often on a short, fixed-term basis) from cash-strapped local authorities. However, optimists would contend that grant making is back on the agenda to support personalisation and streamline commissioning and procurement, lending opportunities for innovative work. Few third sector organisations who are involved in community action activity currently employ social workers. Within mainstream local authority (and health and social care partnership) social work, austerity and resource shortage has, as we have seen, increasingly driven the profession into specialisms focused on prioritised need. 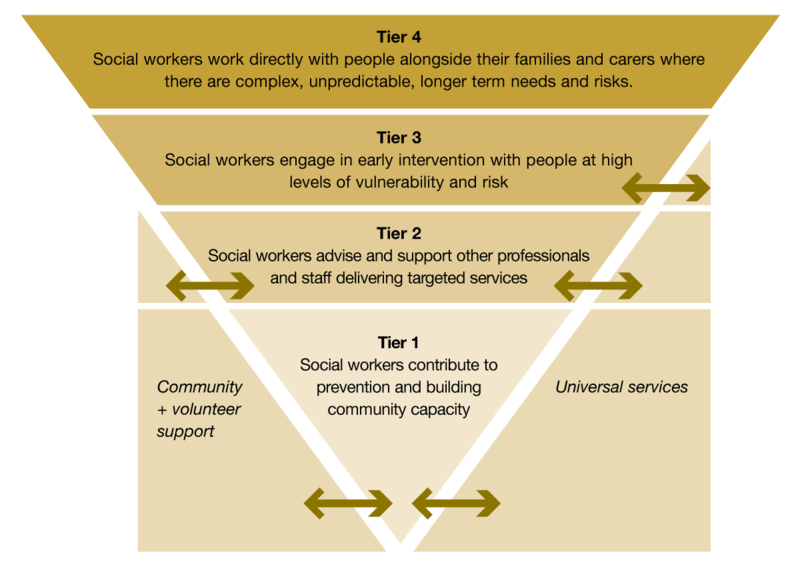 The tiered approach suggested in Changing lives (ibid p31 and reproduced above) actually sees little contribution by social workers to the lowest Tier 1 of community capacity building, increasingly rare interventions at Tier 3, but overburdening caseloads in the highest Tier 4 of most urgently required interventions. Whatever the reality at a time of stretched resources, the model suggests a place for community orientated social work within both statutory and voluntary sectors. The language of community orientation has moved on since Changing lives. Since the Christie Commission (Scottish Government, 2011) issued a challenge to find new ways to engage with families and communities, government policy and strategy papers now talk of ‘community empowerment’. This concept became enshrined in legislation through the Community Empowerment (Scotland) Act 2015: while this fanfared a community’s right to buy land, it also determined they should have voice in the services and decisions that affect them, and strengthened the commitment to community planning as an inclusive process. As a consequence of this, consultation exercises over social work and social care service planning and delivery are now the norm, although the form this might take will vary considerably. This is often now the business of local council employees with community work skills and training, who might in past, pre-austerity, times have been involved in ground-up community action projects. This is described in community development circles as ‘community engagement’ – the process that seeks community empowerment as an important outcome, with national standards to guide users and workers (Scottish Government, 2016). Alongside this, the emphasis on ‘co-production’ seeks to ensure that communities are fully involved: ‘doing with and not to…’ The term ‘resilience’ is also now in common use, often and appropriately to describe work to help communities deal with preparation for the consequences of climate change and natural disaster, but is also used disingenuously to deal with the fall-out from deliberately created social policy, particularly in the field of welfare reform which has been widely reported to have caused increases in homelessness, including rough sleeping, and difficulty in accessing benefit entitlement (see SCVO, 2018 for an example). ‘Community empowerment’ clearly offers opportunity, at least in theory, to those who are seeking funding and resources for projects and initiatives that embody CSW values and strategies; this might, of course, be problematic in a period when local authorities and other public bodies are looking to reduce spending, especially in areas where their services are not statutorily required. However, there is an argument that a community based (or asset-based) approach is the only way to meet demand and reduce costs: this approach is apparently used in Wigan (Cowley, 2017) where ‘community knowledge officers’ are employed to shift spend from high cost council provided assets to social enterprises or community resources. This is just part of a strategy that has given additional training to social workers in community orientated approaches with, it is said, consequent reduced turnover of staff. In Scotland, there are also a number of initiatives that seek to develop ‘community led support’ – the same notion that health and social care need might be met through early diversion to existing (or relatively easily developed) local resources (Bown and colleagues, 2017) rather than through formal ‘community care assessment’ or GP-led health assessment routes. East Ayrshire’s Vibrant Communities programme seeks to achieve such goals through encouraging volunteering and empowering local communities to take control of their own facilities (East Ayrshire Council, 2015). We know too that inequalities have devastatingly negative effects on individuals in all aspects of personal and social life (Wilkinson and Pickett, 2009). Duffy goes on to define a model of citizenship that incorporates the goals of equality, justice and diversity as central to the purpose of the modern welfare state and essential for effective and sustainable social services. Such lofty goals require frontline strategies that look beyond an individual’s problems: social workers ought to be uniquely qualified to approach these because of their training in the interplay between individual and environment (Pierson, 2008). A look forward to support workforce planning, completed for Iriss in 2013 (Musselbrook, 2013) predicted that public services would move towards supporting people's health and wellbeing, rather than continuing an emphasis on deficit and disease – with this change supported by CSW approaches. With stress and its consequences now recognised as malevolent by-products of poverty and marginalisation (Wilkinson and Pickett, 2009), good mental health is known to be associated with social inclusion and good community involvement (Skills for Care, 2014), which again supports the need for community orientated approaches. An important precursor of any meaningful CSW is effective community profiling (or mapping), a fundamental community development strategy and one inherent to models ranging from those pursuing reformist agendas to the Freirean ones of the left (as pursued by Paulo Freire – a late 20th century Brazilian educationalist and social activist). This involves structured examination of the juxtaposition of local voices, statistical evidence, socio-political trends and community development interventions. This should aim to explain connections between the individual and the group, the community and from there to the wider structures and institutions of society on a regional, national and global basis (Ledwith, 2005; Hawtin and Percy-Smith, 2007). Agreed interventions should be based on such detailed analysis. Within the field of social work education in Scotland, CSW has also received recent favourable attention with a conclusion (based on a review of current policy) that there is ‘… an opportunity to meaningfully engage with communities and re-consider the role of social work beyond statutory settings.’ (McPheat and colleagues, 2017). The authors considered that social work education required a greater focus on community development and engagement. Such developments are supported by at least some recent social work literature, notably Social work in the community – making a difference (Tweater and Baldwin, 2012). However, this will be of little value unless employers decide (in a move away from managerialism) that they want and need workers with such training, rather than those whose skills are restricted to the production of assessments to meet basic statutory requirements. A rekindling of interest by employers in community oriented social work, based around Scottish Government policy, and the arguments made in this paper that this represents good and useful social work, will bring on this process. Maintain the rage – but use it wisely! It is always worth remembering too that social workers who consider an individual’s issues in structural terms, and look beyond individual pathology, are more likely than others to avoid personal burnout and ill-health (Mullally, 2010). This paper started with a nod to the scenarios Iriss painted for the future of social work in Imagining the future – a creative exploration. Community, it seems, is likely to assume importance as a central focus for the creation of welfare, but whether that is because of public social services provision development, or a reaction to its retreat and increased scarcity, remains to be seen. Social services workers can take elements of future direction into their own hands by supporting initiatives that embody the values many hold in relation to social justice and the reduction of inequality (and which are certainly embodied in the aims and values of the professional association, the Scottish Association of Social Work (SASW). Scottish Government policies support such activity. Unlike her predecessor in the 1980s the community orientated social worker of the future will employ a broad definition of community that looks at positive attributes such as belonging and identity, and not simply geographical location. Community social work is not a relic of social work’s past heyday, it is very much a crucial element of its future because it holds at the core, values that social work has at its professional heart. Andrew Gillies, Trisha Hall, Stuart Hashagen, Graham McPheat, Kerry Musselbrook, Mark Smith and Liz Timms. Nick Hedges, John Sturrock, Colin Turbett and Ian Phillip. Special thanks to Nick and John for allowing the use of their photographs, and also to Neil Baldwin and Shelter Scotland. This critical history was commissioned by Iriss to mark the 50th anniversary of the Social Work (Scotland) Act 1968. 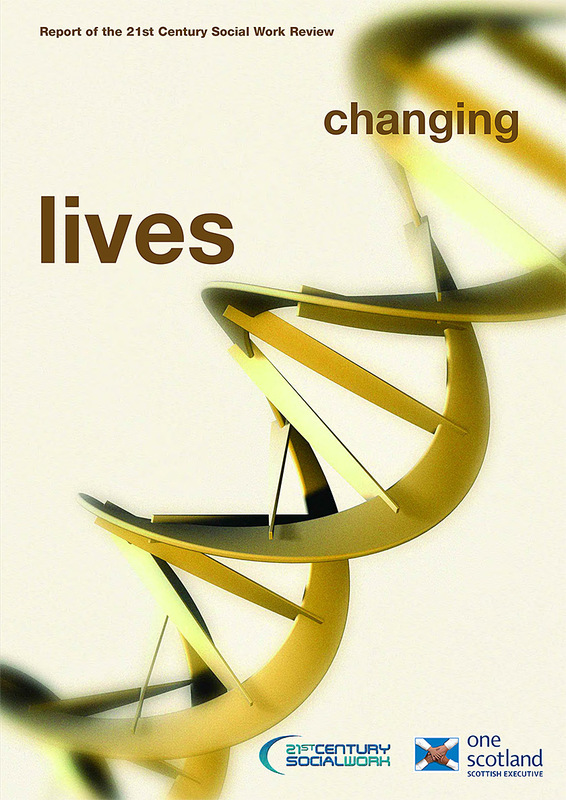 A limited edition print version was jointly published by Iriss, SASW and Social Work Scotland.